The Royal Hospital for Women's Newborn Intensive Care Unit (NICU) cares for over 1,000 premature and critically-ill babies each year. 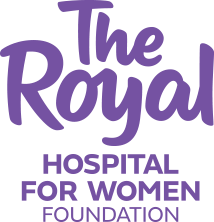 Making a tax-deductible donation to the NICU will ensure that The Royal Hospital for Women Foundation is able to continue to fund equipment and research that will impact so many families. Over 70% of the life saving equipment has been funded by donors just like you.